Grand Central Publishing, 9780446608817, 480pp. Alex Cross is happy, but his happiness is threatened by a series of chilling murders-murders with a pattern so twisted, it leaves investigators reeling. Cross's ingenious pursuit of the killer produces a suspect: a British diplomat named Geoffrey Shafer. Pop Goes the Weasel reveals James Patterson at the peak of his power. Here is a chilling villain no reader will forget, a love story of great tenderness, and a plot of relentless suspense and heart-pounding pace. 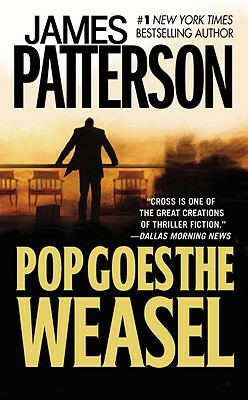 To read Pop Goes the Weasel is to discover why James Patterson is one of the world's greatest suspense writers.